What are the best plants for a cottage-style garden? I’m sharing my picks! Join in as I feature favourite plants from my wild-looking, flowering perennial garden. With bee balm, delphiniums, zinnias, and more, I’ll provide my best tips for a happy, healthy garden filled with colourful blooms. When I say ‘cottage-style’, I mean a happy jungle of flowering perennials. The ones I choose for my garden are suited to my growing zone (6) here in Ontario, Canada, which is a cold climate region with ‘real’ winters. With any plant choices, I strongly recommend you become friends with your local university extension office (or equivalent) for advice on invasive and recommended plant species. These can be excellent resources for knowing which plants to avoid and those that should do nicely in your garden. I have listed my go-to plant databases here (United States and Canada) where you can ID plants by image and descriptions, and more. This is my garden during the summer of 2017. It’s a large (to me) yard that started with a grass lawn in 2011. To save money, I start a lot of plants from seed and propagate from cuttings. 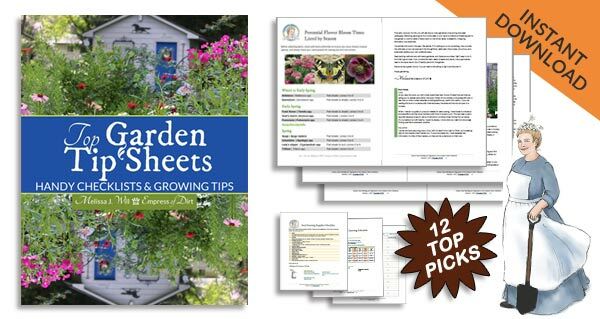 This has a list of the plants you can grow from cuttings in each season. I grow organically, meaning without the use of any known poisons, herbacides, insecticides, or other -cides. The soil is as sandy as a beach, or close to it, and plants that thrive tend to spread a little too easily. My previous garden was hard clay and it took brute force to even dig the soil, let alone for plant roots to spread. Now I deal with runaway plants like bee balm and coneflowers. Both present challenging growing conditions, but it’s far easier now to tear unwanted plants out than it was to break shovels just trying to dig holes! 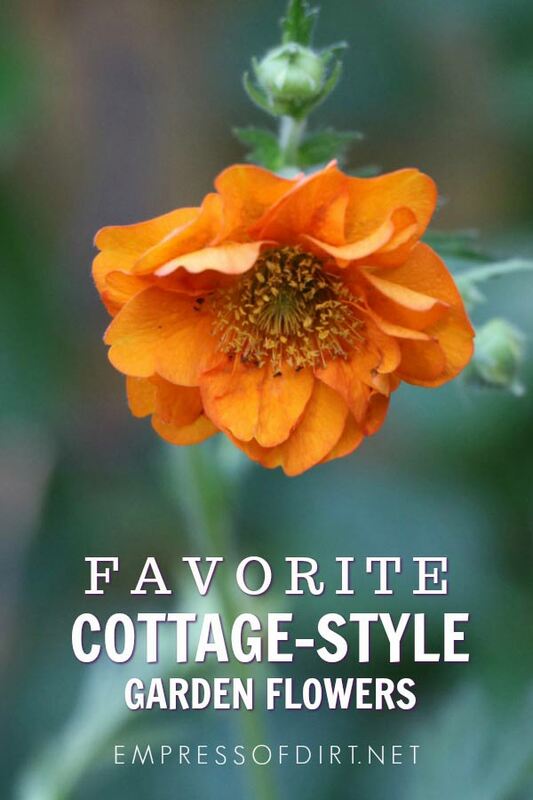 These are some of my favourite flowering perennials for the cottage-style look. Want continuous blooms? 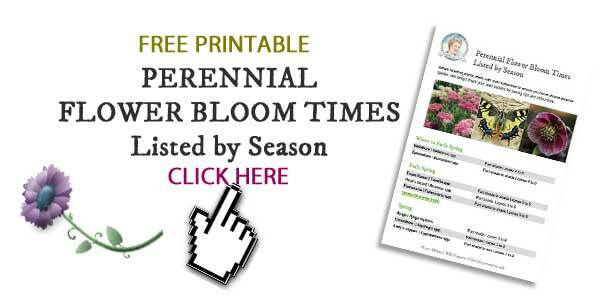 This lists the bloom times for popular perennials. And this has tips for extending bloom times. Got shade? These tips show what to grow in shade and how to brighten up dark areas of the garden. This list will grow, so bookmark the page if you want to follow along. The plants I have already featured are also linked below. Clematis not blooming? Here’s why. And don’t forget to grow some annual sweet peas using these tips. Happy gardening! And be sure to sign up for the free creative gardening newsletter.